Gauteng MEC for Roads and Transport, Ismail Vadi, says he has received representations from legal teams of two rival taxi associations in Soweto. Vadi had given the Witwatersrand Taxi Association (WATA) and Nancefield Dube West (NANDUWE) until Monday morning to present their arguments on why the routes should not be closed. Vadi says he will make his decision in the next day or two. He has also condemned the unlawful blockading of the Johannesburg CBD on Monday by an unknown group of taxi drivers calling themselves the Alliance for Transformation for All. 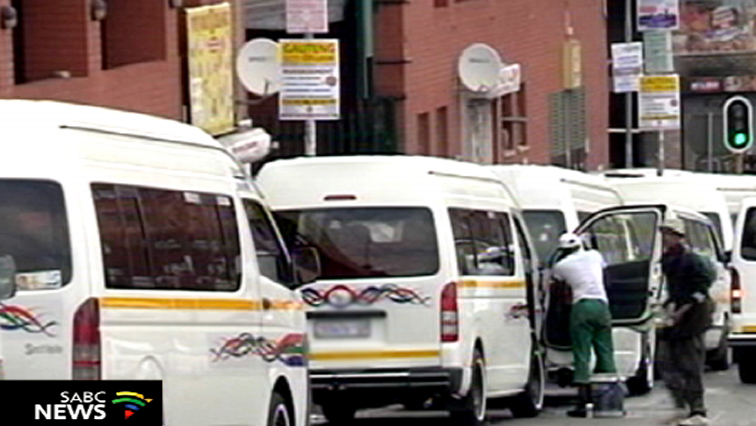 “Our main concern is really public safety, we don’t gain any pleasure from suspending operations of taxi association. They do good work, they fulfill a useful public service but we cannot allow a situation where willfully people just open fire at the slightest provocation,” says Vadi. The post ‘Taxi associations must submit arguments opposing route closures’ appeared first on SABC News – Breaking news, special reports, world, business, sport coverage of all South African current events. Africa's news leader..